Another Blender GF Muffin Experiment – and a successful one, I am a happy camper! Toss the blueberries with ¼ cup (62.5ml) of the GF flour and set aside. Cream butter with lemon zest and 1 cup sugar until light and fluffy. Add egg and vanilla and beat blend until combined. Add ½ of the buttermilk and ½ of the remaining flour. Blend and repeat with the rest of the buttermilk and flour. Now add the baking powder, baking soda, and salt, and give it a final twirl in the blender. The final product should be soft and fluffy. You may have to scrape down the sides once or twice. Spoon/pour the batter into a bowl and lightly fold in the blueberries (only the berries, not the leftover flour). Use a ½cup measuring cup and mete out the batter amongst the 8 wells. Sprinkle the tops with the extra sugar. If you prefer you may use regular course sugar or even coconut sugar, and feel free to use more, depending on your own preference. Let the batter sit in the pan for ±5 minutes before baking for 30 minutes at 375ºF, or until a skewer comes out clean. Let it cool down for 20 minutes (if you can contain yourself that long), before removing it from the cupcake pan. Be careful, as it is very light and super delicate when still slightly warm. Rather leave it to cool down properly. This is a combination of three older and archived recipes I found in my stash or paper recipes. I wanted to use my new blender once again, so I experimented, combined and adapted the recipes to a GF version. This is now a keeper in my books. 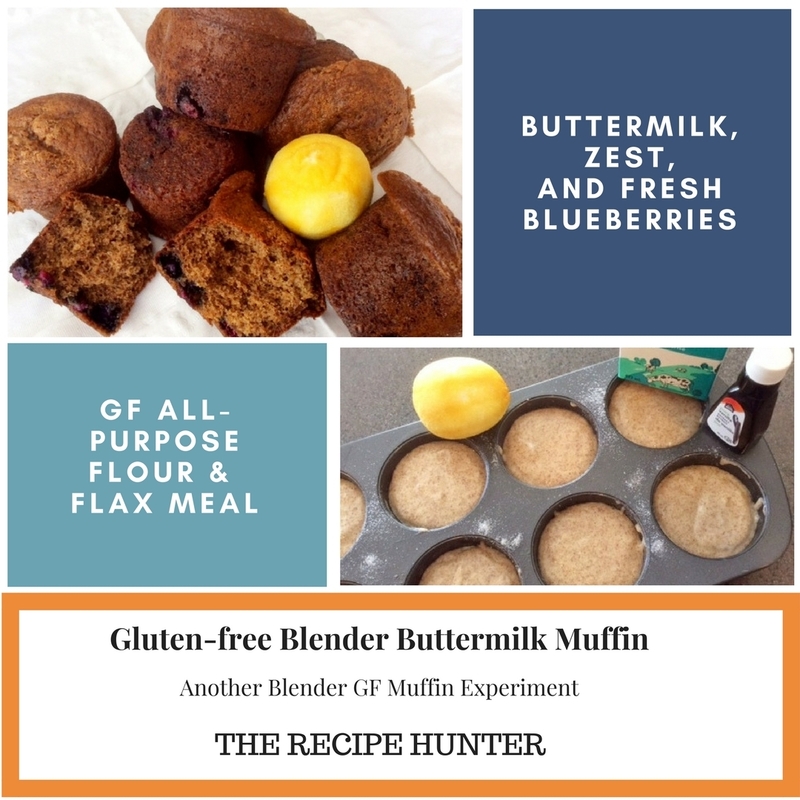 Yippee, 👏👏 I have been trying out many many GF muffin recipes, and I love this one best, especially with the add-in of flaxseed containing lots of fiber. Sounds good. But I’ve never heard of berry sugar, or a punnet before. Please help! This sounds good. I have not heard of berry sugar. I will check that out in our supermarket. Thanks for sharing. I will share this on my fb page. Thanka Thelma. Berry sugar is only very finely ground sugar. We get it here in Canada. You can use regular sugar as well.